Travel through history as you uncover the mysteries of ancient Egypt and Jordan. 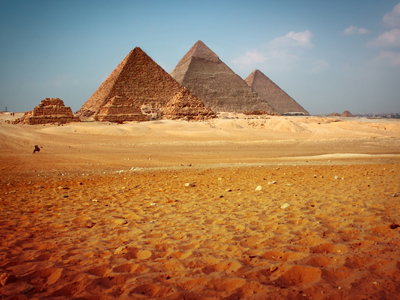 On this custom tour you will experience the the Great Pyramids and the Sphinx. 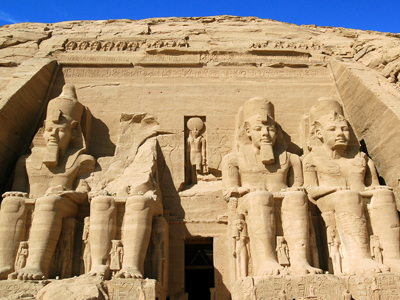 Feel the greatness and magic of the ancient Egyptians in Luxor and Aswan as you cruise down the Nile River. 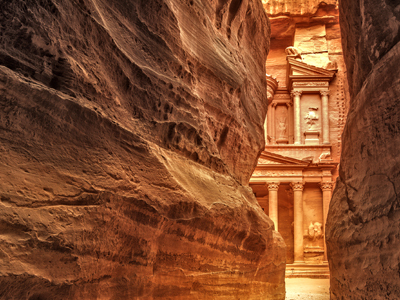 Continue your journey to Jordan where you'll discover the exquisite monuments in Petra and Amman. Arrival at Cairo International Airport. A representative will meet and assist you. Transfer to your hotel for the night. After breakfast, enjoy a day trip to the great Pyramids of Giza and the Sphinx. After lunch, explore the treasures of the Cairo Egyptian Museum. Head back to your hotel for the night. Transfer to Cairo Airport for the domestic flight to Abu Simbel. 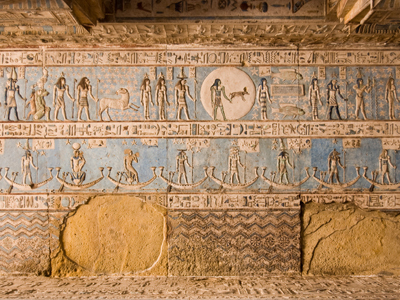 Upon arrival, visit the two magnificient Temples of Ramses II and Nefertari. Transfer to Abu Simbel Airport for the domestic flight to Aswan. A representative will transfer to your hotel. 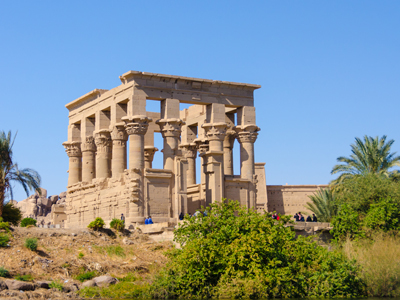 Enjoy a day trip to the romantic Island of Agilika and visit the beautiful temple complex of Philae and the High Dam. After you will embark on a Nile Cruise. 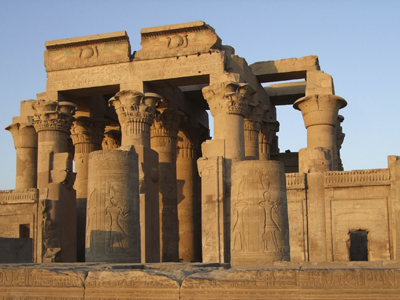 Today you are able to visit the Temple of Kom Ombo-Navigation northward to Edfu. After lunch, you'll visit the Temple of Horus. Continue onto Luxor through Esna Lock where you will spend the night. Enjoy an early morning trip to the West Bank of Luxor, including the Valley of the Kings, Deir El-Bahari Temple, and the Colossi of Memnon. Head back to the cruise for a nice lunch. Visit the Luxor Temple, then transfer to Luxor Railway Station for the overnight train to Cairo. 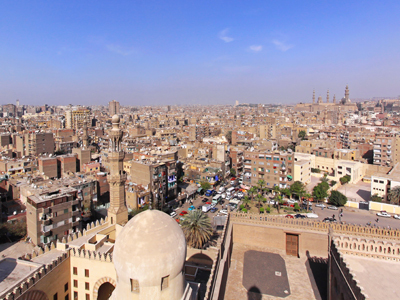 When you arrive in Cairo a representative you will transfer you to your hotel. Transfer to Cairo International Airport for the flight to Amman. Arrival at Queen Alia Airport. 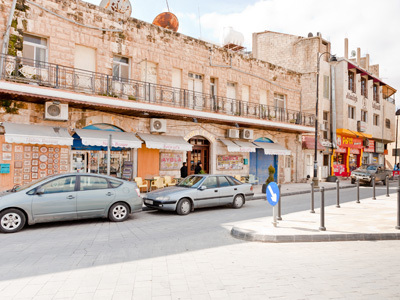 A representative transfer to your hotel in Amman. 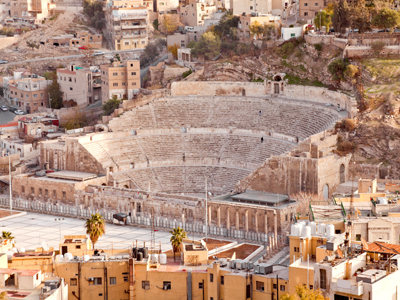 Enjoy a day tour around Amman, including the downtown area (Al-Balad) where most of Amman's remarkable historical sites are located. Start from the Citadel where you have a panoramic view of the whole city. Walk through the ruins of the great Temple of Hercules, the Byzantine Basilica,and the 8th century Umayyad Governor's Palace. Visit the Archaeological Museum known for it's excellent collection of artifacts ranging from prehistoric times through the 15th century, including the Dead Sea Scrolls. Downhill from the Citadel is the Roman Amphitheatre; a large 2nd century theater capable of seating about 6,000 people. From here, we continue to King Abdullah Mosque often called the Blue Dome Mosque because of its sky blue exterior. In the afternoon, visit the Cave of Ashab-al-Kahf (The Seven Sleepers). Then you can head back to the hotel to get some rest. After breakfast, we depart for Mount Nebo (2680 feet above sea level); a place where Moses gazed at the Promised Land before he died. Enjoy a panoramic view of the Holy Land, and the Valley of the River Jordan. Then, we will head to the city of Madaba (30 km. south-west of Amman) famous for its Byzantine and Umayyad mosaics, especially a large Byzantine-era mosaic map of the Holy Land. Our next stop is the Dead Sea, the lowest elevation on the Earth's surface on dry land (417 m below sea level) and the largest "Natural Spa" in the world. Float on the surface of the Dead Sea experience a weightless feeling in its waters, or try the healing benefits of the dark mud on its shores. 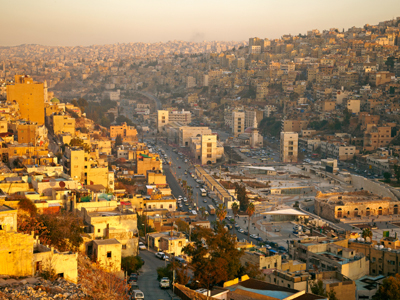 After this long day, head back to Amman for a night of rest and relaxation at your hotel. 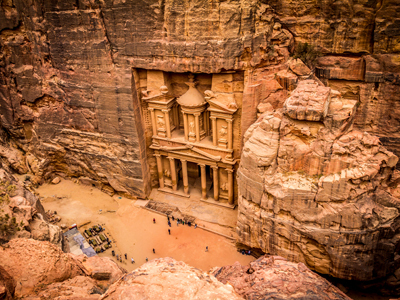 In the morning, start a full day tour to the red rose rock city of Petra, one of the new seven wonders of the world where magnificent buildings were carved in the sandstone mountain. On horse back, you will ride to a dark, narrow gorge called the Siq, a natural geological feature formed from a deep split in the sandstone rocks. At the end of the gorge, stands Petra's most elaborate ruin, Al-Khazneh or the "Treasury". 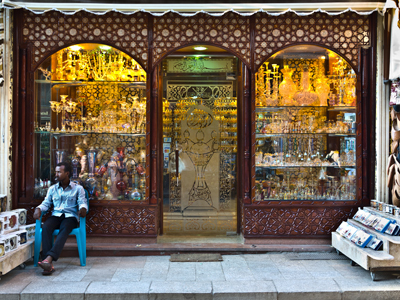 Wander along the street of Facades, see the Royal Tombs, Pharaoh's Castle and other amazing monuments. In the afternoon, you will head back to Amman for dinner. Transfer to Amman Airport for your departure.